No matter the size or type of your business, you’ve likely invested countless hours and dollars into building and establishing your company thus far. And, while business may be going well right now, it’s important to take the right steps to set yourself up for when things start to slow down or level off. If you haven’t already, now would be a good time to invest in strategic digital marketing for your business. Why Investing in Digital Marketing? 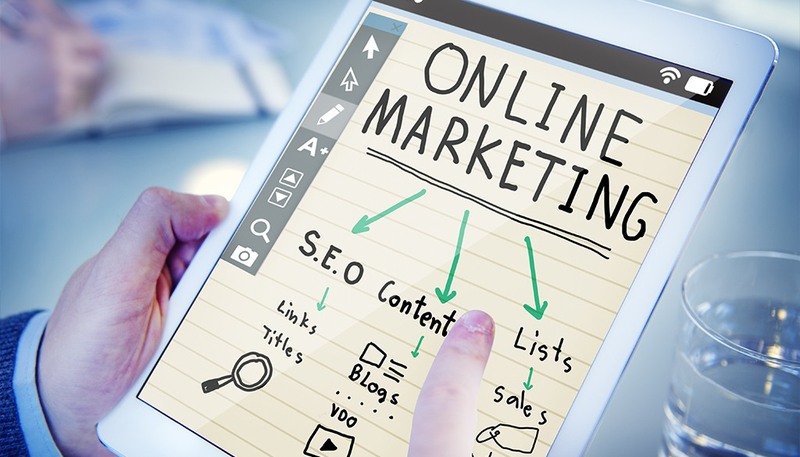 Making the decision to invest in digital marketing is often difficult for owners of small businesses, and for several reasons. You probably don’t have a huge budget for much other than office supplies, staff, and/or inventory – never mind additional funds for digital marketing and advertising services. In addition, many smaller businesses don’t feel that they need, nor would they benefit from implementing a digital marketing strategy. However, the fact remains that if you want to grow your business in today’s digital world, neglecting to invest in digital marketing is a big mistake. Plus, by putting in the necessary time, effort, and initial investment into developing a results-driven digital marketing strategy from the start, you can save yourself a significant amount of money in the long run. Documenting a strategy leads to higher success rates. Says who? According to CoSchedule’s 2018 State of Marketing Strategy Report Kit, “Marketers who document strategy are 538% more likely to report success than those who don’t.” CoSchedule’s research also indicates that those who set goals are considerably more likely to succeed vs. those who don’t. Without defining what success looks like for you, it will be nearly impossible to know if you’ve achieved it. By simply writing down your specific goals, metrics, and deadlines, you’ll have a much better chance at achieving success. Seeing your goals and ideal results down on paper (or on your digital screen) not only helps you to keep yourself accountable for reaching those goals, but you can also use the documented information as a reminder and/or inspiration when times are tough. Write down your goals and strategies – then get after them! Your website acts as a salesperson 24/7, 365 days a year. Many businesses invest in staff to promote the products/services they sell, the cost of which can add up quickly. While you still may have to spend money on sales efforts for your business, having a well-designed and user-friendly website will undoubtedly help amplify your sales and marketing strategies. Think about it – you pay an employee X number of dollars per hour/year to sell and/or market your products/services. They work about 8 hours per day, 5 days a week, and sometimes also receive paid vacation/time off, depending on whether you can afford to offer your employees/contractors any benefits. But what about when your sales team is off the clock? That’s where having a strong web presence becomes critical to successfully grow your business. Your website should answer questions about pricing, availability, and/or features of the products/services you sell, as well as the option to make a purchase online, at any time. If customers can’t connect with a live person from your business, they will expect your website to fill in the gap. If you don’t have a website or a strong digital presence, your customers will likely go elsewhere to make a purchase. That’s not how you successfully grow your business – by losing customers to the competition. Invest in a professionally designed website – or updating your existing one. Mobile users can access your business from any location, at any time. Mobile users are changing the way we buy everything from physical products to services and memberships. They are searching for solutions to their problems whenever and wherever it’s convenient for them, which may happen at work, on a train, on a park bench, in a coffee shop, etc. If you aren’t making a conscious effort for your business to show up in mobile searches, you’re missing a large percentage of potential customers. In fact, according to recent research shared by Smart Insights, “Mobile digital media time in the US is now significantly higher at 51% compared to desktop (42%).” The scale has tipped, and you need a mobile strategy to catch up. Make sure your website is designed for mobile users. You can effectively increase your brand reach through strategic social media marketing. While social media marketing may get receive more credit today than when it first became a viable digital marketing method, its impact is still often underestimated. Unfortunately, many businesses consider social media marketing to be a waste of time and therefore don’t invest the time and resources necessary to see tangible results. It can be difficult to see the value that social media marketing has to offer, especially without a carefully designed social strategy. Posting inconsistently and/or sharing content that isn’t relevant to your audience isn’t likely to yield the results you want from your social media marketing efforts. However, if you document your social media goals and strategy for achieving them, you are more likely to see measurable results. By targeting specific audiences and creating quality content aimed at engaging your target market, you can effectively increase your brand awareness and reach. For best results, get visual. According to HubSpot, visual content is more than 40 times more likely to get shared on social media than other types of content. Get social with your audience, and create a strategic social media marketing plan. Content marketing costs less and yields better results than traditional and outbound marketing. Content marketing, on the other hand, is a far less intrusive form of digital marketing, which allows buyers to have more control over how and when they access branded content. When combined with basic search engine optimization techniques, content marketing can effectively increase brand awareness and lead generation efforts. Many businesses are going about content marketing all wrong, so it’s important to understand what it is, and what it isn’t. It is about telling the story of your business through written content, images, and graphics, videos, email series, how-to resources, etc. Content marketing is not pumping out repetitive and/or irrelevant content that isn’t informative, educational or useful in any way. Create and share high-quality, relevant and meaningful content with your audience. Simply put, there are far more reasons to invest in strategic digital marketing than not. A great digital marketing company will work with you to meet your unique business needs and your budget. If you’ve been considering investing in strategic digital marketing, now is the time to get started. Soon, you may not have a choice.